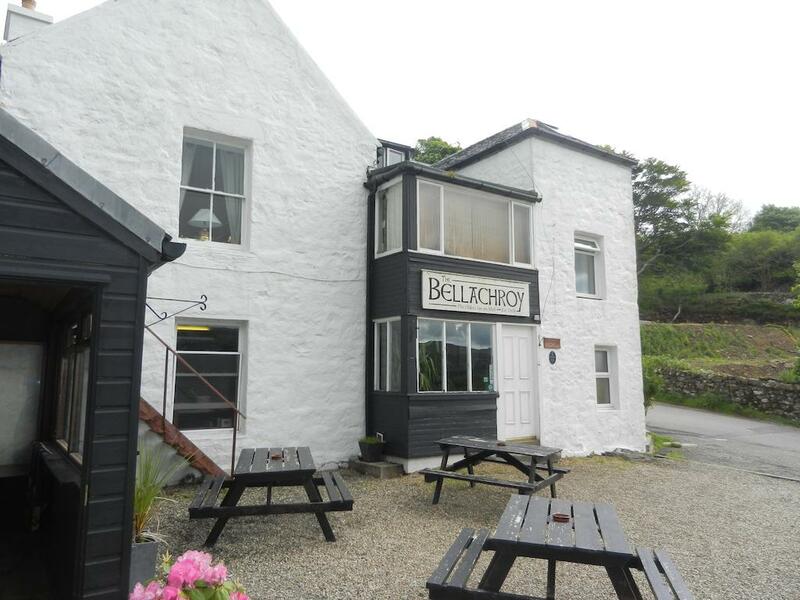 The Isle of Mull’s oldest inn, The Bellachroy Hotel offers en suite rooms and a full restaurant menu showcasing local produce. Dating back to 1608, the hotel has a bar and provides free parking and WiFi. Each room has a TV and DVD player, wardrobe and tea and coffee facilities. All have an en suite bathroom with a bath or shower, hairdryer and toiletries. Rooms enjoy beautiful views of Loch Cuin and the village of Dervaig. A full cooked breakfast is served each morning, along with a vegetarian version and a choice of cereals, yoghurts and fruit. Specials including omelettes and smoked salmon with scrambled eggs are also offered.